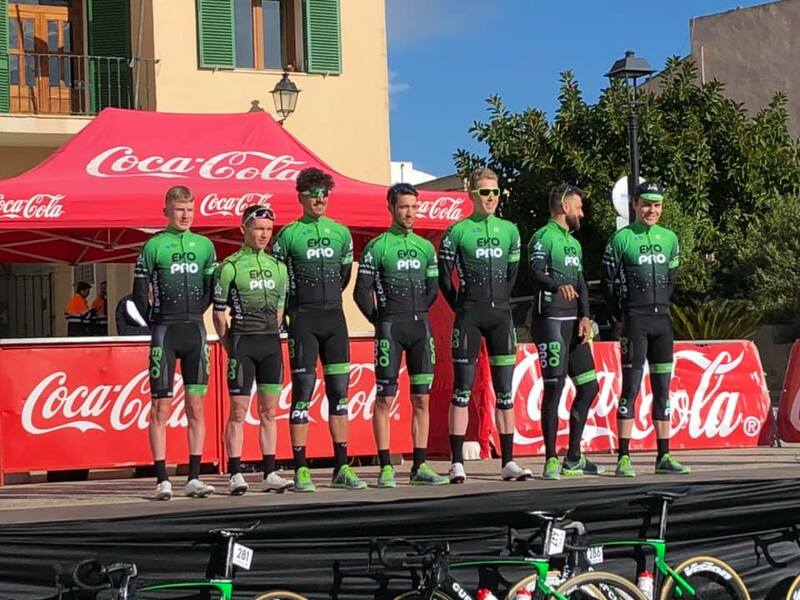 EvoPro Racing at their first ever race in Europe; Irish riders Mark Downey, Daire Feeley, Cormac Mcgeough and Aaron Kearney among the line-up in Mallorca today. 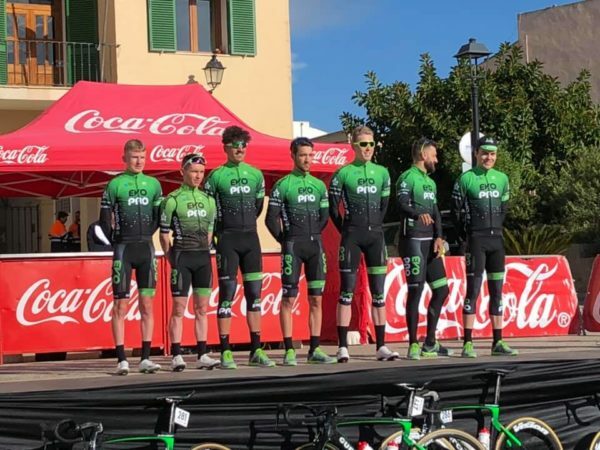 An Irish quartet of riders has ridden its debut race with new Continental team EvoPro Racing, Daire Feeley taking the best result. They were riding the Trofeo Ses Salines-Campos-Porreres-Felanitx in Mallorca. It finished at the top of the testing 5km Puig de Sant Salvador. Coming as it did at the end of a 177km race, that final climb of the day really split the field to pieces after the main breakaway had been caught. Jesus Herrada (Cofidis) shot off the front of the select group that formed on the climb and won by 11 seconds from Guillaume Martin (Wanty-Groupe Gobert). On the same time as the runner-up, Bauke Mollema (Trek-Segafredo) was 3rd and world champion Alejandro Valverde (Movistar) was 4th. The field was strung out back the road; the final climb and the competition to win the European season’s first race ensuring the winter cobwebs were well and truly blown away. Daire Feeley, riding his first race for a Continental team, came home in 80th place and in a group 7:58 down. His compatriots and team mates Cormac Mcgeough and Aaron Kearney finished further back. They crossed the line within a large group some 15:38 down. Mark Downey was among the non finishers; a crash bringing his participation to an end. However, no broken bones or other serious injuries are reported. The best finisher for the EvoPro Racing team today was Eugenio Alafaci who was 65th at 6:50 while Seid Lizde was 68th a further six seconds back. Today’s race was the first of four events in the Challenge Mallorca series. And the four Irish riders are back in action tomorrow, Saturday and Sunday. EvoPro Racing has another group of riders currently competing in the Herald Sun Tour in Australia.